Japanese pancake shop J.S. 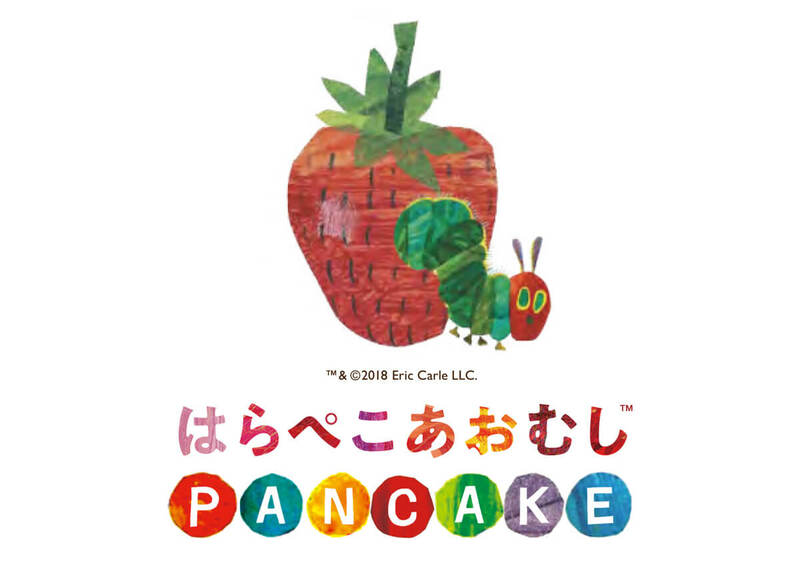 PANCAKE CAFE is set to collaborate with the internationally beloved picture book The Very Hungry Caterpillar by Eric Carle at 12 of its J.S.PANCAKE CAFE branches and 1 of its J.S. FOODIES branches from October 3, 2018. The Very Hungry Caterpillar is a children’s picture book designed, written and illustrated by American author Eric Carle. It was first published in 1969 and has gone on to be translated in over 60 languages worldwide with over 44 million copies sold. Carle is lauded for his skill with colour, and his vivid imagination will be faithfully brought to life in the pancakes served at the cafés. 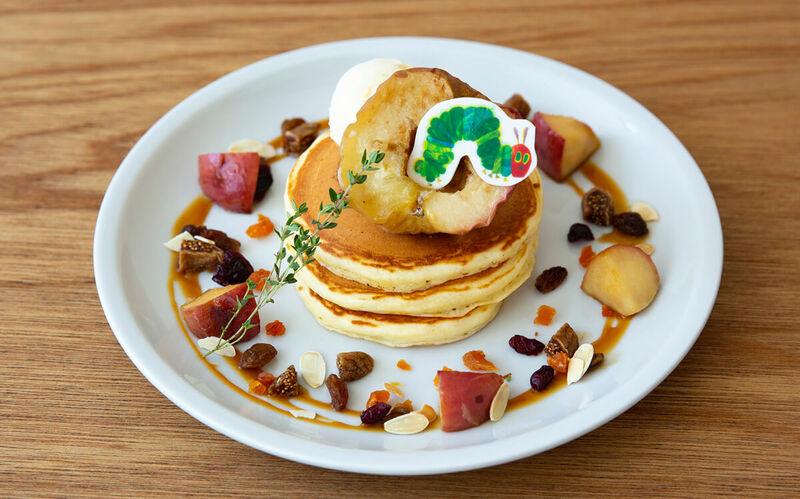 The cafés will run for four months from October to January next year during which they will serve sweet pancakes that will depict the growth and tale of the caterpillar. During the first month, October, they will serve French toast style pancakes that represents the sun on the morning that the caterpillar was born. Under the gleaming smile of the sun sits a bed of colourful fruits, all of which serves as the beginning scene to the caterpillars growth. 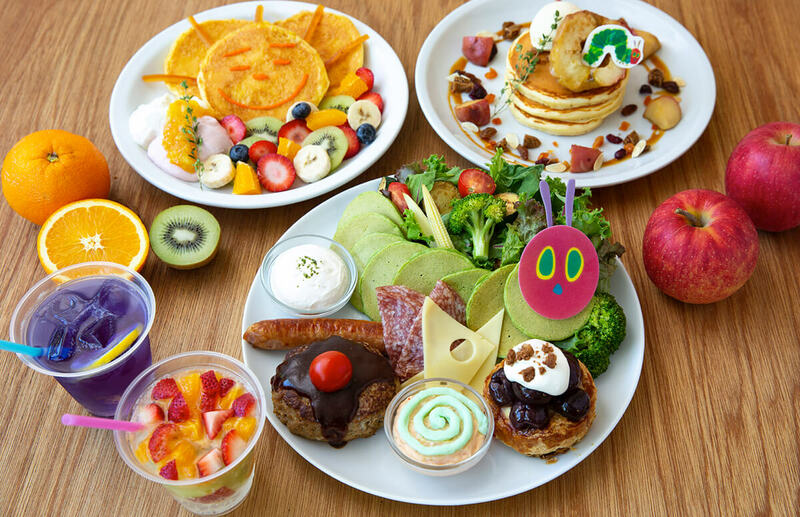 In November, customers can look forward to fried apple pancakes which represent the caterpillar growing as he eats more fruits. It recreates the scene of him crawling out of the apple. The dish is also mixed with autumn-time ingredients like nuts and figs. 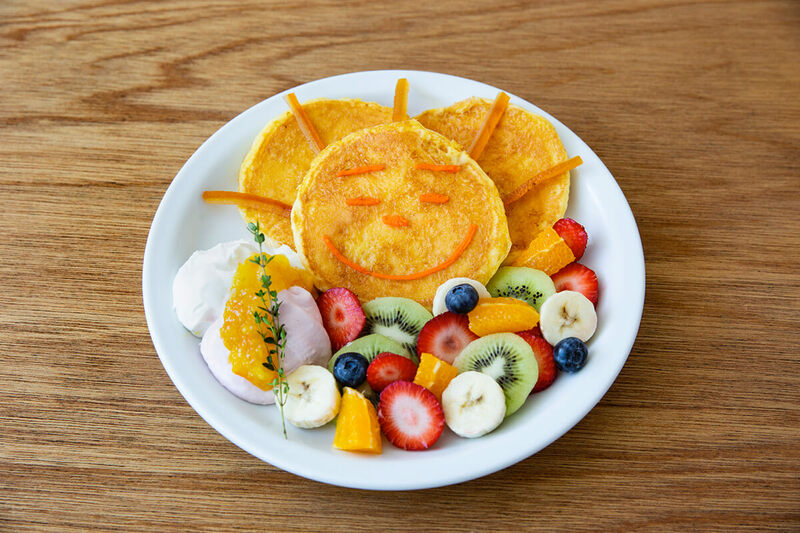 There’s also a dish called “Harapeko Aomushi Plate” you can order that features the impressive food seen in the story, all served on one plate with spinach pancakes. 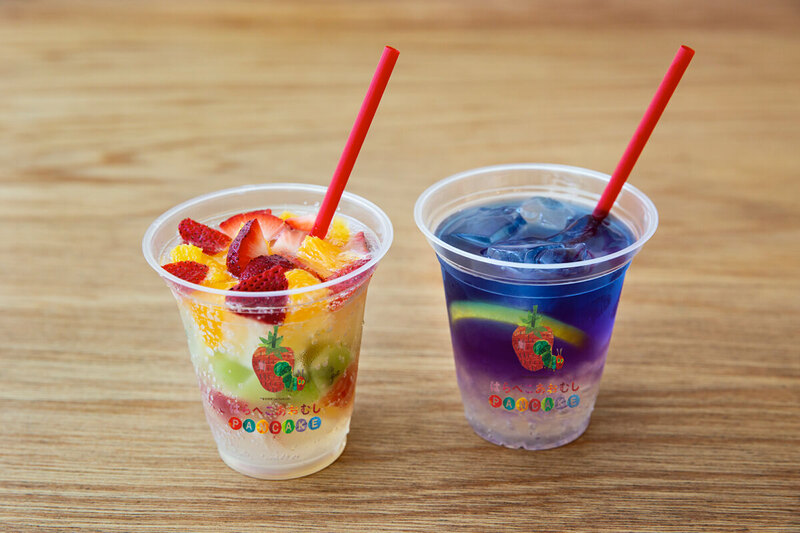 As well as all of this there’s also a selection of parfaits and drinks that represent the colourful world of the story. 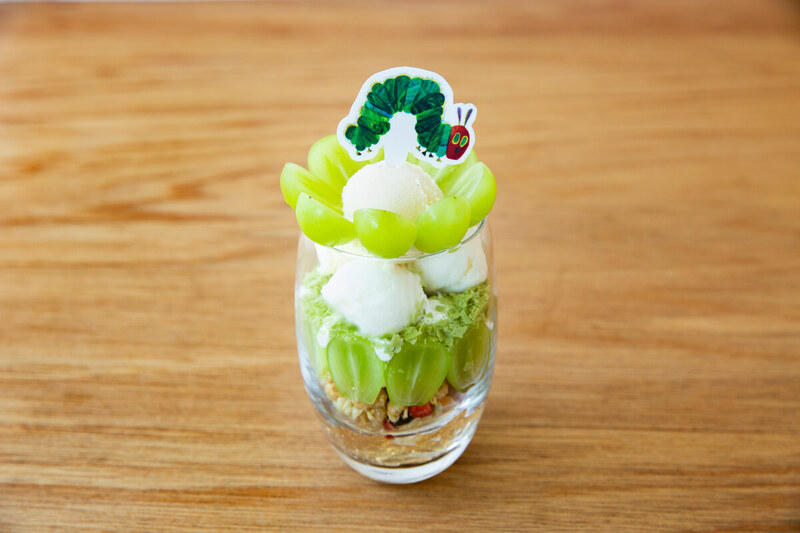 Also, at the flagship shop in Nakano Central Park, the café will completely take on the world of The Very Hungry Caterpillar with designs and decorations. 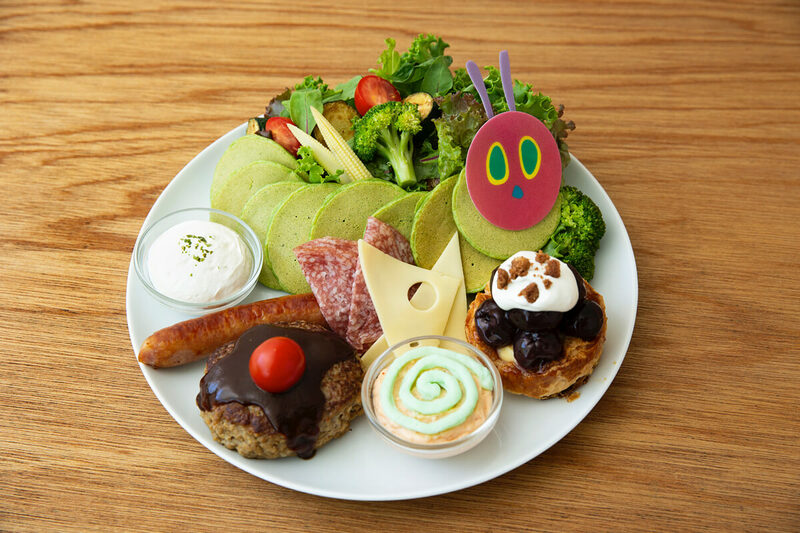 And to celebrate this collaboration, the first 10 people to post #はらぺこあおむしパンケーキ on Instagram on each day from October 3 to 5 will get half price off the “Harapeko Aomushi Plate” at each café. Finally, 10 people who eat any of the pancakes will also be selected randomly to receive a limited edition box with merchandise included. This is happening every month for the duration of the event. Explore the wonderful and vivid world of The Very Hungry Caterpillar!